Anonymous Hackers Help Iranian Activists Fight The Regime ! 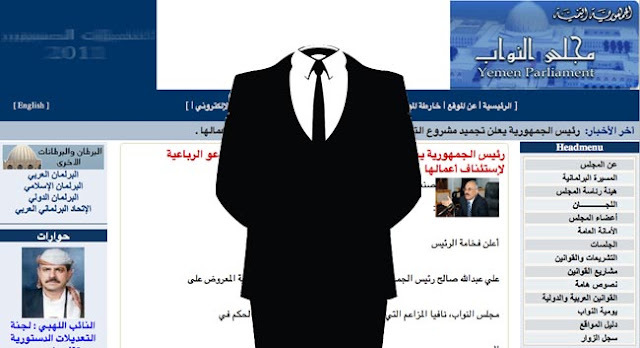 The inscrutable "voice" of international Internet collective Anonymous, a shadowy organization that has carried out a number of attacks on websites worldwide. In recent days, with Iranians taking to the streets to protest the government, the country's Islamic authorities have boosted their censorship efforts in a bid to crush opposition activity online. Before and during the largest demonstrations seen in Iran since the unrest that followed President Mahmud Ahmadinejad's disputed reelection in June 2009, the authorities have tried to tamp down opposition activity by blocking opposition websites and other media, as well as disrupting mobile phone connections. This is where Anonymous and its "Operation: Iran" come in. The collective is providing users with special advice forums and tools to fight the Iranian government's censorship. The group has also encouraged Iranian users to use distributed denial of service attacks (DDOS) in order to take down key government websites like khamenei.ir -- the website of Supreme Leader Ayatollah Khamenei -- as well as leader.ir and president.ir. Arash is a hacker who works with Anonymous to fight government censorship and cybercontrol in his native Iran. It is hard to pin down what exactly Anonymous is. The organization has no leaders and no headquarters and grew out of image-sharing forums in the United States. While Arash and hackers like him have been targeting Iranian government websites and state media, the authorities are fighting back with high-tech monitoring and filtering equipment. Just weeks ago, the government announced the launch of a new cyberpolice unit. In 2009, Anonymous -- a group Arash says is funded entirely from donations -- helped launch the opposition support website Anonymous Iran. The site was launched as a platform for exchanging information between Iran and the world and now claims over 15,000 users. But Anonymous has a controversial past. The group was accused of being behind a spate of 2008 attacks on an epilepsy support forum, which triggered migraine headaches and seizures in photosensitive and pattern-sensitive epileptics. The group drew criticism more recently for reportedly masterminding attacks against Amazon.com, PayPal, MasterCard, Visa, and others as part of "Operation: Payback," a campaign that came out in support of WikiLeaks after the companies cut services to the controversial group. Authoritarian regimes are increasingly targeting hackers, online activists, and bloggers in an attempt to maintain control over the information narrative in their countries -- a narrative that, thanks to the rising availability of the Internet, is becoming ever more difficult to tame.